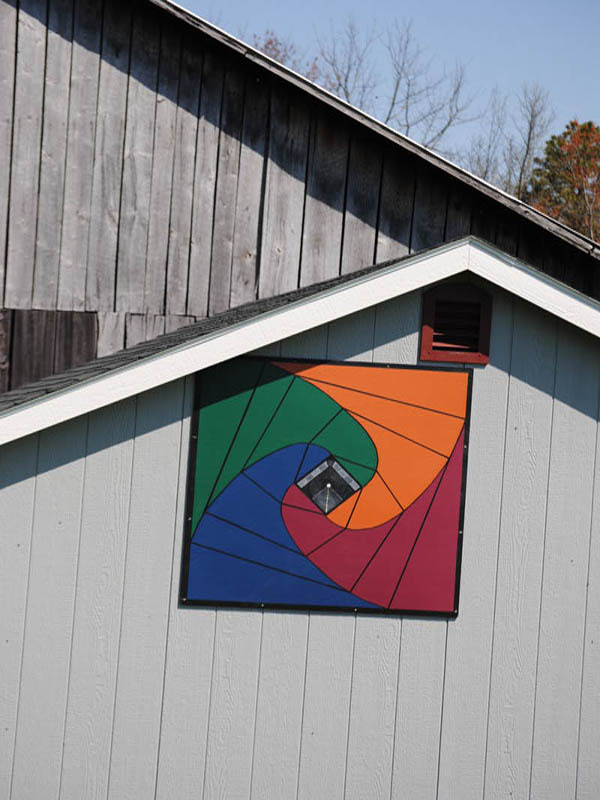 Our barn quilt incorporates both the local and personal significance that we share with the Waterfall, PA area. The center of the quilt gives recognition to the local abandoned turnpike tunnels, which in recent years have become a recreational attraction for locals and tourists alike. For personal significance, the four colors symbolize the four of us while the black lines represent our individual lives. The lines travel through each color, spiraling as they go, symbolizing the constant connection we will have throughout our lives. May this quilt offer a marker for newcomers exploring the area and reflection for those who’s lives are dependent on one another.